I find that the iPad’s on-screen keyboard is pretty limiting if you want to get any work done. There are at least three Kickstarter projects that I know of to address this issue, but none of their products are available yet. In the meantime, there are a number of combination keyboard and cases available, but they tend to be bulky and expensive. So the folks at Incase have come up with an inexpensive alternative for people who already have an Apple Wireless Keyboard. 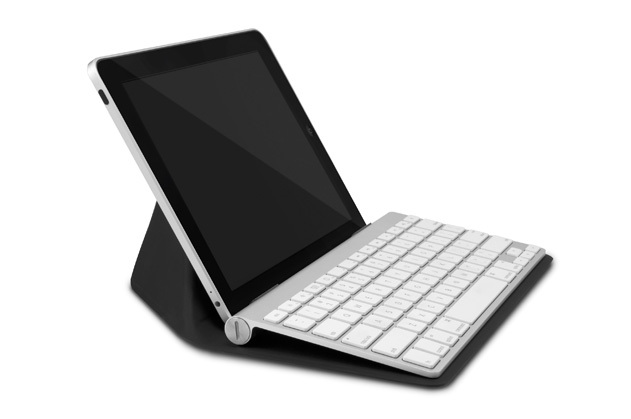 The Incase Origami Workstation is designed to be a case for the Apple keyboard, which opens up into a simple stand for an iPad(s AAPL). The name makes this case sound like more than it is. 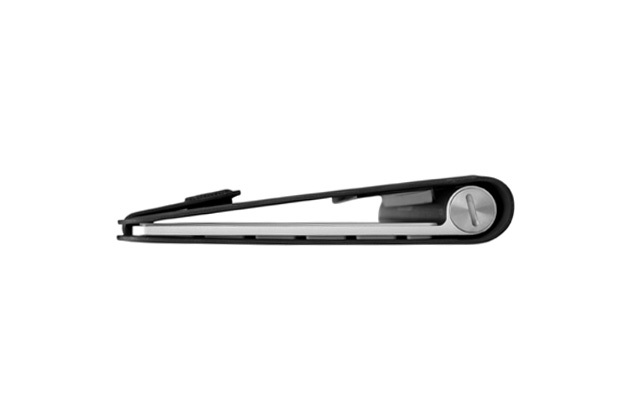 It’s made of a thin, stiff material with a grippable rubbery surface. It’s scored to fold into a prop-up stand, and in another position, as a cover for the keyboard. Both positions are held with Velcro fasteners. It also has a plastic holder for the keyboard. In all, it only weighs a couple of ounces, but it does what it’s designed to do. Note that this is a case for the keyboard, not for the iPad, so you’ll be carrying around your iPad and your keyboard separately. But if you already have an extra Apple Wireless Keyboard, and you don’t want to spend the extra money for a case with a built-in keyboard, you might want to give the Incase Origami Workstation a try. It retails for $29.95 and is available online and at Apple Stores. I received this case for Christmas. It is great. Now I can throw the keyboard and iPad in any slender bag without concern for scratching. The iPad sets up so well on the stand that people mistake it for a laptop. It works better than the advertising says it will. Sounds like a great idea. I’ve been planning to pick up an iPad now that Scrivener has an iPad version in the works. For that, I’ll need a keyboard and I’ve been wondering why I should buy an iPad keyboard/case combo when I have a perfectly functional Apple Bluetooth keyboard not in use. You Tube has some videos that help visualize how it works. My only complaint is the price. $19.95 (or at least $24.95) would make more sense than $29.95. After all this is protection for a $70 keyboard not a $500+ iPad. The fact that it’s also serves as a stand isn’t that big a deal. I have a $3 plastic stand that should work fine.